Air Force (7-3, 5-1 Mountain West Conference) visits the blue field of Boise State (7-3, 4-2 MWC) on Friday night for an MWC Mountain Division showdown (9:30 p.m. Eastern, ESPN2). Army West Point (2-8) concludes its home schedule Saturday (noon Eastern, CBS Sports Network) against Rutgers (3-7) in what will be the last game for the Black Knights before the rivalry showdown with Navy on Dec. 12. Navy (8-1, 6-0 American Athletic Conference, No. 16 in College Football Playoff rankings) heads to Tulsa (5-5, 2-4 AAC) looking to keep its perfect conference record intact (7 p.m. Eastern, CBS Sports Network). 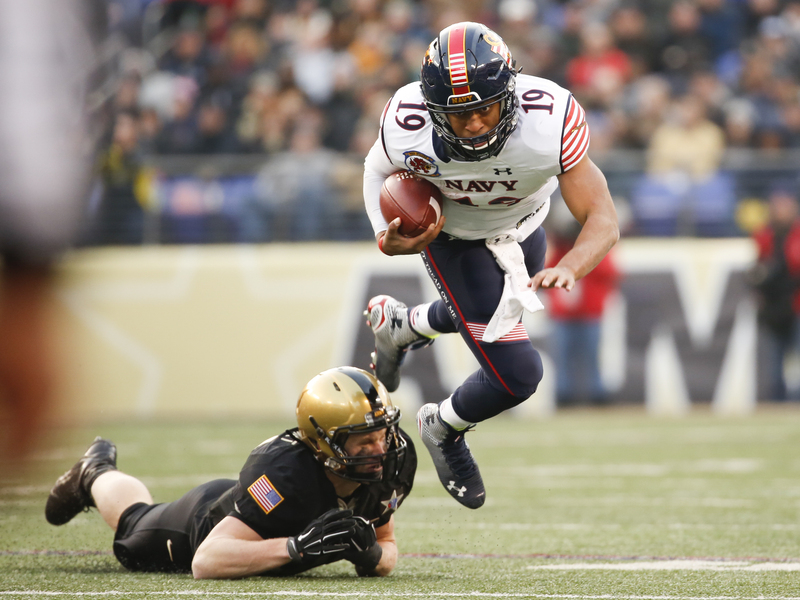 Navy will face unbeaten Houston the day after Thanksgiving in a de facto playoff game for the AAC West title. Thanks to conference tiebreaker rules, the winner of that showdown will earn a spot in the Dec. 5 AAC title game regardless of this week’s outcomes. Houston visits Connecticut on Saturday afternoon. Air Force’s situation is a bit muddier, with three teams in the running for the MWC Mountain crown. The good news for the Falcons is that they’ll play two of those teams, Boise State and New Mexico, in the next 10 days. Two wins lock down the division, a 1-1 mark keeps the Falcons in play depending on other outcomes, and 0-2 leaves them out. 3. Grab a cold one. Craving a beer to relax after all those bullet points? A business launched by two West Point grads can get some of the best brews from around the nation to your door — maybe not right now, but in time for the Army-Navy game. Barrel Backers, a San Francisco-based startup launched by Daniel Rivette (USMA ’01) and brother Adam (’03), offers what amounts to a crowd-funded shipping service for craft beers — users can pledge to purchase hard-to-get (and harder-to-ship) beer from across the nation, and if a given beer hits enough orders, it heads out the door. If not, the customer’s credit card isn’t charged. 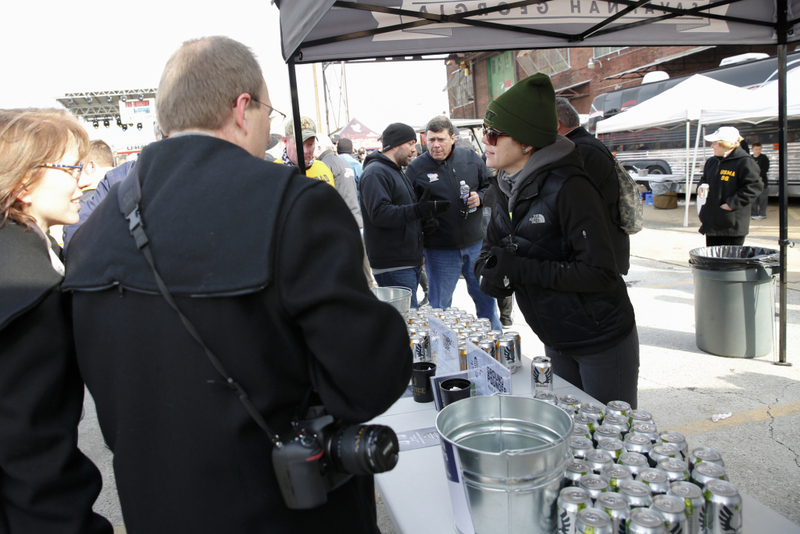 The site went live in July, and many service members fall into one of the company’s key demographics, Daniel Rivette said: People whose occupations have taken them far from home, and far from their favorite brew. The site’s big push for Army-Navy week: Offerings from Savannah, Georgia-based Service Brewing Co., whose CEO, Kevin Ryan, also graduated from West Point and served in the same unit as the Rivettes. More about Ryan’s company, which donates a portion of every sale to a service-connected charity, here and here. There’s a Nov. 24 cutoff for orders to secure delivery by Dec. 12, Rivette said. 4. Navy’s Heisman hopeful. Senior leader. Starter at the game’s most difficult position since his freshman season, in an offense that requires split-second decisions and the ability to take serious punishment. Most rushing touchdowns of anybody who has played college football, ever. And if the season ended today, he would have led his team to an unbeaten conference record — in its first year of conference play — and a spot in a top-tier bowl game for the first time in about a half-century. Others offer deeper dives into the matter, but that’s the short version of Keenan Reynolds’ case for taking home the Heisman Trophy, or at least earning a spot among the finalists for the award that will be presented Dec. 12 in New York City. His Heisman quest has its own unofficial Twitter account, with a homepage photo that should please young and old Navy fans alike. 6. Odds and ends. Navy fans can vote for Reynolds in a Heisman poll here. … David Ramsey of the Colorado Springs Gazette sings the praises of resurgent Air Force quarterback Karson Roberts. … Air Force visits Boise State after the Broncos’ 31-24 upset loss to New Mexico last week. How much of an upset? A wager of $100 on New Mexico to win would’ve netted more than $6,500, according to some oddsmakers. A $100 wager on Holly Holm to beat Ronda Rousey would’ve been worth only about $1,250. …Navy ranks higher than Houston in the CFP standings, but most bowl projections still have the Cougars heading to the Peach or Fiesta bowl, with Navy staying in Annapolis for the Military Bowl.